Rural countryside meets urban city styling with this Lancaster Table & Seating mahogany industrial wooden dining height table base. 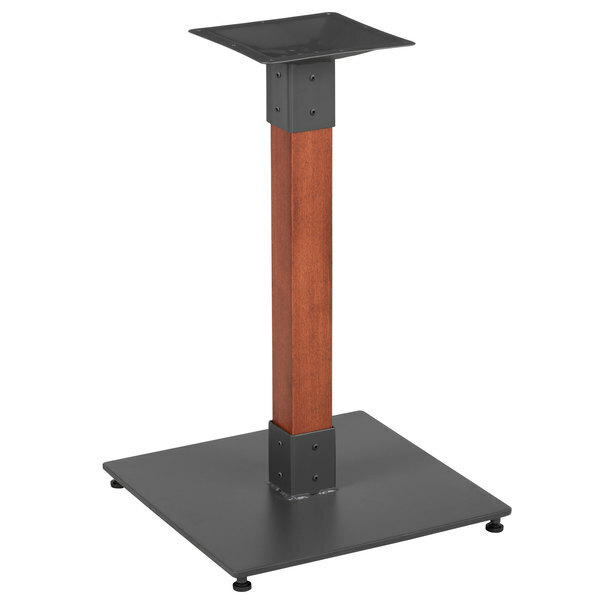 This table base features a solid beech wood post that's accented by a metal base plate and spider attachment. While the wide, square base plate helps to prevent the table from wobbling, the included feet protect floor surfaces from scratches and scuffs. The table base will hold up to 200 lb., providing a sturdy foundation for a compatible tabletop, heavy meals, dinnerware, and decor.